This is beautiful cookbook, with photos of every dish and lots of helpful entertaining tips. The recipes seem easy and accessible, without having to make ridiculous quantities of food, although they do seem more geared toward entertaining than everyday eating. My favorites are the Oven-roasted Vegetables and Pan-Roasted Root Vegetables. 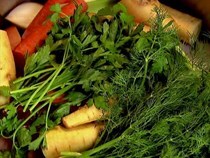 The best chapters are Vegetables, offering several simple but tasty side dishes, and Breakfast of course. The Country French Omelet and Sunrise Smoothies earned rave reviews from my family. This is a keeper cookbook to break out for special family dinners and having guests over. The French Apple Tart is fabulous. I baked the potatoes at 400 degrees because I had something else baking at that temperature, but it's also the temperature I'd normally use for baked potatoes. The topping was nice and tangy. We didn't need butter. Used size 31-40 and they were really too small. So, will use bigger shrimp next time. Flavor is fabulous. Served over pasta. This didn't turn out so well. I love garlic but the time in the oven didn't fully cook the garlic here so it ended up feeling a bit undercooked and overpowering. The shrimp were perfectly done so I don't think it could have gone on longer. This is probably an issue with execution and not the recipe but I'm still not super impressed. At such a high temperature, potatoes tended to burn rather than crisp up. How did you get them crispy? Awesome! Made with DARK brown sugar and finished with MALDON sea salt. Took longer to cook than recipe instructs, but were nice and crispy! No need for sugar, these are sweet enough. Add a bit more cooking time and a bit less oil as well. Yum! This was pretty good but I think it would turn out better in shallow gratin pans like those pictured in the book. I used ramekins and they were too deep. The topping cooked but didn't brown and form a crust, even after some time in the broiler. Nevertheless, the sauce was delicious with bread. Nice and refreshing, not too bitter, light on alcohol. One recipe required a very large glass, but it's easy to cut the recipe in half. Made for Thanksgiving 2015. I used spinach instead of arugula and smoked blue cheese instead of Roquefort but otherwise followed the recipe. One mistake I made was measuring the vinaigrette by weight instead of volume and even though I should be able to do that, the vinaigrette never turns out right. 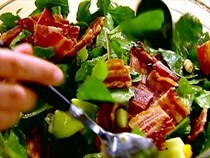 The salad was fine, but I wonder whether wispier arugula might have been better for catching all the ingredients. I'd potentially make it again. 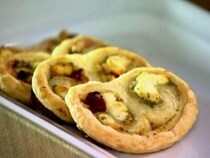 These were delicious the night we made them, but they did not reheat well the next day. I doubled the amount of chives, and next time, I would add some Asiago or Parmesan cheese to the mixture. Add more carrots because we love them! Super yummy!! I just used basil and halved the amount of butter and oil. Easy and good. I usually make 1/2 recipe (serving 4), but with 12 oz mushrooms. I like this best with all chicken thighs, so it can stay in the oven longer - maybe an hour - without drying out. I add peas at the end and serve over mashed potatoes or noodles. My family loves this dish. Great flavor for relatively little effort compared with other coq au vin recipes. Very good. Served with mashed potatoes and the whole family loved it. Made 1/14/2010. Not great won't make again. Made for New Year's Day brunch. 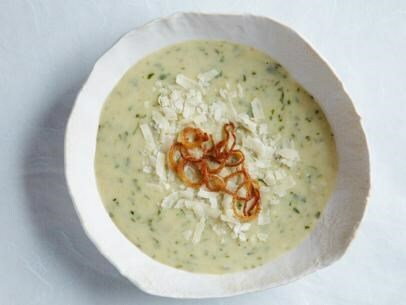 Very easy to make and flavorful. More like a frittata than an omelet. The recipe says it serves 2 but we got 4 servings out of it. So delish and I made it in the beginning of December. Imagine if I used end of summer tomatoes!!! I made this with a huge bowl of fresh summer tomatoes and it was delicious. The croutons were essential. Hold back a cup of chicken stock and add it as needed to adjust the consistency. With the tomatoes I used, 3 cups was far too much. Our go-to recipe for cheesy grits! These were great. 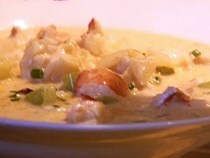 They just simmered away as I prepped the shrimp and salad to go with. Husband asked "Where have these been all my life?". I used Trader Joe's coarse old-fashioned grits and they cooked longer initially. I did not have any scallions, but think the grits would have been better with them. I am not the biggest fan of grits, but these were pretty good, very creamy, possibly too rich. I served them with fried eggs on top, which was very tasty. Coarse grits added a nice texture. I made 1/4 recipe and it was plenty for 4 people, as it's not the kind of salad people would eat in large portions. I used 2% Greek yogurt and only drained the yogurt and vegetables for about 5 hours, but it seemed to work OK. It was pretty good, but the dressing is rich and there is a lot of it. Nevertheless, the flavor is refreshing. But I'm not sure I'd make it again. This was okay but we weren't crazy about it. 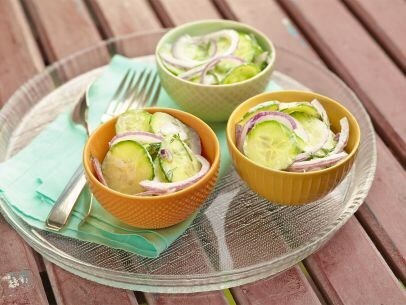 I suspect there are better cucumber/sour cream salad recipes out there. I liked this recipe because it did not contain sugar. However, I made this and forgot to drain the yogurt. This made entirely too much dressing because of that. Flavor is good but there is way too much dressing for the amount of cucumbers. Must remember to drain the yogurt. Made a written, this bread is extremely dry and requires the orange cream cheese spread included to keep it from sticking in the throat. An additional egg and an additional 2 tablespoons of butter would probably solve the dryness. This is a WONDERFUL recipe! My family loved the spanakopitas. My husband, who is never very exuberant, said that they were excellent. When asked to rate them on a scale of one to ten--he said TEN! This was my first time in 25 years of cooking for the man that my food ever received a perfect ten! Whoo hoo! Thanks, Ina! I assembled them ahead and froze them, which worked well. Making them was a lot of work. For the filling, I used 2 16-oz bags of frozen spinach and 10 oz feta (which was plenty). I needed the whole 16 oz package of phyllo and about 2 extra tablespoons of butter, and had a bit of extra filling. The spanakopitas were very good. I served 2 per person for dinner. Really simple ingredients: butter, lemon, sole, salt and parsley...can't get much easier than that! Very tasty too, just go easy on the lemon juice or taste the reduction in case it gets too tangy. Add more butter or perhaps chicken broth to thin out if needed. These are absolutely disgusting. At first I thought there must have been a print error in the amount of butter specified, but apparently this is correct. These come out swimming in butter - Check the online recipe reviews. Strangely some people appear like this which is a little worrying. Much lighter and more delicate than a heavy apple pie. People liked it but weren't raving about it like some of Ina's other desserts I've served (mocha ice box cake is one). I personally loved it. This is so easy and delicious. I like her way of slicing the apples; easy-peasy. I used Myer's Dark Rum in the Apricot Glaze and everyone loved it. Most people said they liked this better than apple pie! Pg. 122 I was unable to find onglet so I used a rib eye. The butter is very nice, with all the flavours you would expect and the stead itself was very nice with the herbes de provences. I could imagine it would be even better with onglet since the butter would pair nicely with the leaner meat. This was too sweet for me. (and I never thought I'd write those words!) 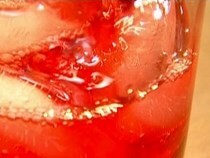 The berries in limoncello were delicious, and I cut the sugar to 1 tbsp. Next time, I'd just use the plain greek yogurt to top, perhaps with a bit of honey added, but skip the lemon curd and vanilla. My favorite garlic bread, period. Look no further, this is the one! Although the title of this says "loin of pork", the recipe is actually for a pork tenderloin as specified in the ingredient list. Leftovers were wonderful in a Cuban sandwich -- Swiss cheese, ham, sliced tenderloin, Dijon mustard/mayo, and pickled pepper rings grilled in a panini press. 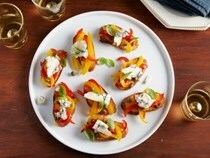 Serve with Greek Panzanella from Food Network 'What friends are for' episode. Grilled this for about 25 minutes and it was delicious. 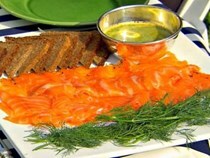 You could up the herbs and mustard a touch but otherwise tasty as written, with a nice uncomplicated flavour. Pg. 126. This was a very nice way to cook pork tenderloin. I marinated my 1-lb tenderloin for about 6 hours, rather than overnight. I was pleasantly surprised that the lemon flavor really came through in the grilled pork. I grilled the tenderloin for 15 minutes on high and that produced perfectly cooked meat. Served with sauteed broccoli rabe and grilled pineapple. I'll definitely be making this again! This recipe doesn't work! They fall apart and taste of nothing but honey. Blech. Nice flavor, easy. I have made it with both swordfish and tuna. For slightly thinner steaks (3/4" thick), 3 minutes per side was perfect. I have made this recipe more times than I can't count--it's a classic. The meatballs themselves are delicious! 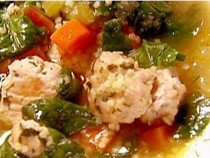 The meatballs in this are very very tasty and the soup itself is quite good. I do think you need homemade stock though as the broth is very simple otherwise. Italian Wedding Soup is one of my favorites. 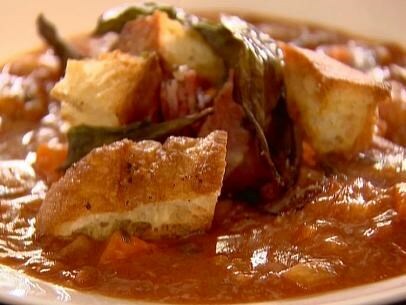 This soup is hearty enough for a meal. Use it for my annual Christmas ships dinner, a crowd pleaser. p. 72 - 2010 - First attempt w this rec that will now be a fave. I made meatballs in advance and froze so I can make portioned soup on demand w little fuss. Just added required amt into broth to defrost and heat through. Used 1 box chx stock and 1/4c ditalini for 2 servings. Topped w parm. Soup was extremely flavourful. K-9/10. 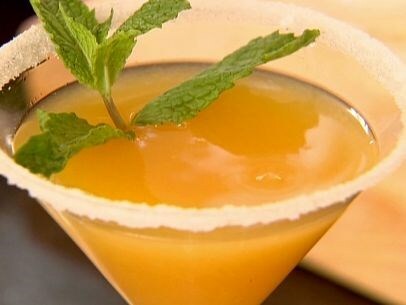 The drink was quite tart, but good with the sugar rim. Quite strong. Great! Like 2 recipes in 1 because you get the garlic bread. I used 2 Tbsp maple syrup and the sweetness was just right for me. My family loves this recipe. I have made it with thawed frozen sole, folding the fillets in half to make them thicker, and it turns out great - makes a bland fish very tasty. It's so quick and easy too. Serve with rice or something similar to sop up the rich, flavorful sauce. Pg. 136. I made this with halibut and we enjoyed it. I loved how easy the prep was and it took almost no time to cook and was perfectly done in the time called for. I'd definitely make this again. Pg. 136 For us this was just ok. The sauce could do with some more capers but was generally quite good, the challenge is that the fish doesn't brown so it remains a little bland despite the punchy sauce. I made this as an individual serving for myself and it turned out well. I did add more capers as suggested by another reviewer. I would make again. Nice, not too sweet despite the grapes. My rice needed extra time to cook. Served with creamy chicken and morels. I was serving 7 people, so I made 1.5x the recipe (just in case), but there were leftovers. Not a big fan of fennel so I replaced with garlic. very good! I love this recipe! The roasted fennel is incredible! I often leave out the asparagus because the season is so short but really this is fantastic. I love to serve it with the tuscan lemon chicken from this book and a green salad. Potatoes were delicious in this recipe. I only add the green beans and skipped the other vegs, but this recipe is nicely adaptable to what you have on hand. This is such a simple technique but results in a really good side dish. I used none of the vegetables called for, but substituted potatoes, sweet potatoes and green beans. It was still very good, proving that this is an extremely adaptable side suitable for everyday cooking. A little bacon thrown in also tastes great! Pg 172 This is a real winner. The broccoli gets just a touch smokey from the roasting and the garlic is delicious, but then the final sprinkling of seasonings is the clincher with the buttery pine nuts, umami parm, and assertive lemon. Very easy and just delicious. Just be careful with your proportions, it can easily have too much salt and lemon. Nothing could be simpler than this. Goes to show that you can make something very nice with just a handful of good quality ingredients. This is creamy and luscious with just enough bite from the pepper. Rich, but easy and very, very good. Don’t bother. You can’t taste much of the pomegranate flavor. Nice variation on a cosmo. I agree that the pomegranate doesn't stand out, but it does balance the sweetness of the cranberry juice cocktail. Recipe makes 6 huge drinks - could easily serve 8. Fabulous dessert sauce! Served with both an Amaretto cheesecake and a poppyseed cake. Cut the sugar in half and used frozen berries. Page 88; TC B didn't like. I omitted the maple syrup on the squash because I generally don't like to sweeten sweet vegetables. However, when I tasted the finished salad with the slightly sweet dressing the squash tasted super bland in contrast and I can see that it would have been better if they were sweeter. The dressing was a bit of a disappointment. Fine, but not appley or very flavorful. No better than a simple no cook dressing. Subbed pomegranate seeds for the cranberries. Quite good. Cant decide if I will repeat this or not. One of my favorite fall salads ever. Great easy recipe. The curry is fairly subtle so I might add a little more next time. I loved the idea of adding bananas as a topping. Regretted ignoring instruction to cut slice off outer curve of pears so they lie steady, which also insures good contact & bigger surface between pears and liquid and pan; my omission made the pears take much longer to soften. Still completely delicious. Made this 12.24.2012. Halved the recipe. 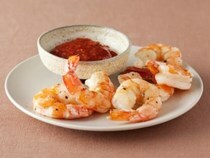 Used colossal Gulf of Mexico wild caught blue shrimp from TJ's. Delicious. Will definitely make again. Easy and delicious. Made 1/2 recipe. My shrimp were a bit smaller (15-20 count); roasting time of 8 minutes was perfect. Roasted shrimp *are* tastier than boiled. I didn't have fennel and chives, but I'm sure they would have been good in this. I used a bit less lemon juice - added to taste. The risotto was really good. We added extra parmesan. I omitted watermelons and peaches because they are out of season and used frozen berries instead. This was delicious and easy to make. Besides varying the fruit, I'm sure the flavor of sorbet can be varied or use different juice, i.e., cranberry juice for a cranberry shrub. This is a nice breakfast addition for a holiday. Serving 2 for dinner, this was fabulously rich and delicious. Truffle butter is pricey but worth the splurge. I used Bionaturae brand tagliatelle and added peas, which were a welcome counterpoint to the rich sauce. Served with a simple endive salad as a palate cleanser. I have also simply made this with spaghetti, using half the truffle butter but adding sauteed mushrooms, and it's still delicious. This sandwich looked delicious when I saw Ina make it on TV. Used this on 2 spatchcocked Cornish hens. Marinated overnight and roasted them in the oven. Served for Christmas dinner. Everyone loved it! This is my go-to chicken recipe. I don't even look at the recipe anymore. I usually use chicken pieces instead of a butterflied chicken and definitely marinade for about 8 hours. Many people have asked for the recipe. It is so simple! This is the pizza dough recipe I use for everything (pizza , calzone etc) . It is delicious and it works every time. A 1/2 recipe fits my large pampered chef stoneware bar pan perfectly. I like this book. New cooks will learn helpful techniques...while seasoned cooks might glean inspiration from the more unusual entries. 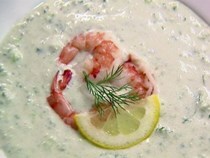 ...has some perennial favorite tastes - lemon, prosciutto, Parmesan, shrimp - but what could be better? ...roulades are much easier than they look, and they tend to store really well. It’s everything you could want in a dessert for fall, and you can make it the day before you plant to serve it. 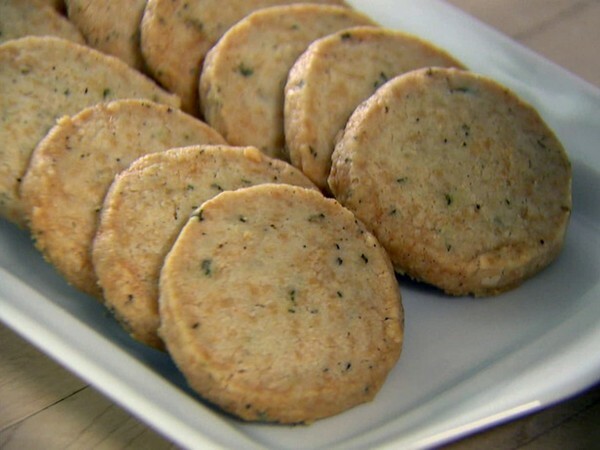 They would be great served with some wine or snacked on any time... A really good thing to have on hand when quests are over. These are easy to make and quite delicious. Crunchy, parmesan croutons take the place of a grilled cheese sandwich here, and they are a delicious topping on the soup along with some fresh basil. Let me tell you – shrimp cooked this way have so much more flavor and sweetness. For Ina Garten, creating a successful meal has nothing to do with what's in vogue; it's all about what's readily available, in season, and easy to prepare. 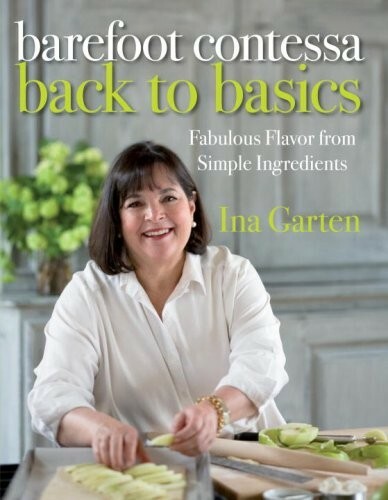 In Back to Basics Ina explores how to bring the best out of ordinary ingredients for delicious meals that have that extra wow factor we've all come to expect from the Barefoot Contessa. Which ingredient unlocks the purest chocolate flavor in brownie pudding? What twist makes an old favorite like tomato Caprese salad truly unique? 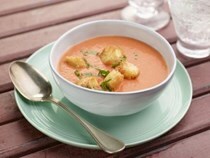 How can you amp up the impact of butternut squash soup without overpowering the true butternut squash flavor? It's not always about finding the most exotic or costly ingredients--it's about finding the methods and flavor pairings that unlock the essence of good food. Newcomers and longtime fans alike will love Ina's insights on building a menu, finishing a dish, and setting the scene for dinner, and an inspired roster of all-new recipes--ranging from Lobster Corn Chowder to Fresh Lemon Mousse and Easy Sticky Buns--demonstrates Ina's talent for transforming fresh, easy-to-find ingredients into an elegant meal without fuss or complications. 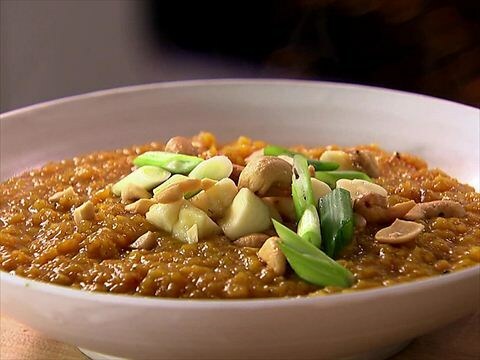 Ina's five previous bestselling cookbooks have sold an astonishing 6 million copies, and have inspired a show seen daily on Food Network and a line of packaged food products. Her new Foot Network series, also called Back to Basics, debuted October 2012.